Choice Roof Contractors are serious about saving you money and protecting our environment! The roofing systems we use have earned the government’s ENERGY STAR® certification. And that’s not the only earth-friendly benefit. Our systems can be applied to virtually any existing roof; so no tearing off a roof and adding it to the local landfill. 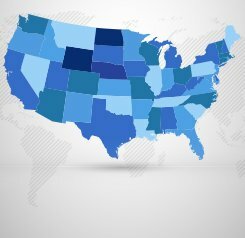 We are the Conklin® roof coating experts, and the products we use have been certified or approved by a number of well-respected, independent organizations. Conklin energy-saving roofing systems perform and our customers notice right away. 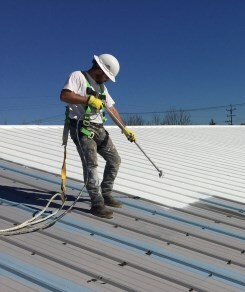 Studies show that they lower roof temperatures by up to 40 percent, which decreases the amount of heat transferred into a building interior to dramatically reduce cooling cost. The cool roof options we offer have earned the EPA Star. Our nationwide network of contractors are proud installers of Conklin’s ENERGY STAR approved white roof systems. It can be difficult to understand how a roof can influence energy costs. Most people think that a roof is nothing more than a blanket of protection for a building. This is true in most cases, but a commercial roof can also have a huge impact on the amount of energy that a building consumes, and here is why. 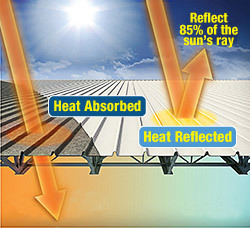 On average, the roof is exposed to the sun for 12 hours a day. During these 12 hours, the roof is absorbing nearly all of the heat from the sun. This happens even when the temperatures outside may not be very high. 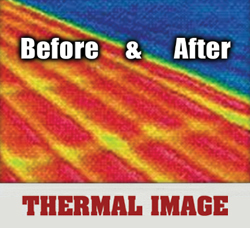 The sun is still producing solar heat, and the roof is absorbing it like a sponge. The heat doesn’t stay in the roof either. It slowly starts to move throughout the entire building, and it continues to spread throughout the building long after the sun has set. This entire process of heat absorption and transfer puts a strain on air conditioning and any other refrigeration systems that may be installed in the building. These systems are now working overtime to combat the heat that the roof has absorbed and transferred throughout the entire building. You are paying good money for all of this. Wouldn’t it be nice is there was a more energy efficient roofing system? Conklin commercial roofing systems have been designed with energy efficiency in mind. The EPA has even labeled Conklin roofing systems “cool roofs” because of their unique ability to reflect the heat of the sun. Your roof does not have to be the cause of excessive energy bills. Conklin roofing systems are more energy efficient. Traditional commercial roofing consists of black tar and gravel. Black tar provides an excellent barrier against water, but it fails miserably when it comes to energy efficiency. Black tar absorbs heat. This is the primary reason roofs get so hot! 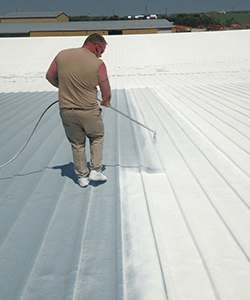 Conklin commercial roofing systems are white. White reflects heat. 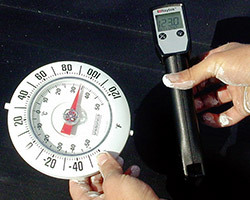 In fact, a Conklin commercial roofing system can lower the temperatures of a roof by as much as 30 degrees. This is no magic trick. It is a scientific fact. Conklin cool roofs reflect as much as 85% of the sun’s solar energy away from the building. Energy costs drop the moment a Conklin roofing system is applied, and the savings really start to add up very quickly. It is easy to see how a Conklin roofing system can lower energy costs, and this is why Conklin cool roofs have been used on over 2 billion square feet of roofing to this date. 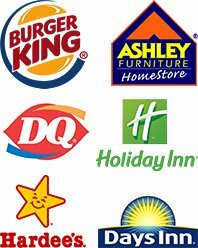 Stop paying for high energy costs and choose the energy efficient green choice. Install a Conklin cool roof system today and start enjoying massive energy savings immediately!